A parent in a Foreign Service Facebook group recently shared this video that her daughter made about being a Third Culture Kid. It’s so well done and does a wonderful job of capturing the emotions of this lifestyle. I even teared up a bit watching it with my oldest son. Being able to name and identify our emotions is key to successfully navigating the expatriate lifestyle. If you’re interested in learning how to better understand your own thought and emotional patterns, consider checking out this free downloadable exercise from my book – The Expat Activity Book: 20 Personal Development Exercises for Gaining Insight and Maximizing Your Potential Wherever You Are. Or, click here to find out more about the book and purchase your copy. In the past two days I’ve had the incredible pleasure to conduct “get-to-know-you” sessions with the participants in the beta-test of my Finding Your Way: Everyday Mindfulness for Critical Moments program. 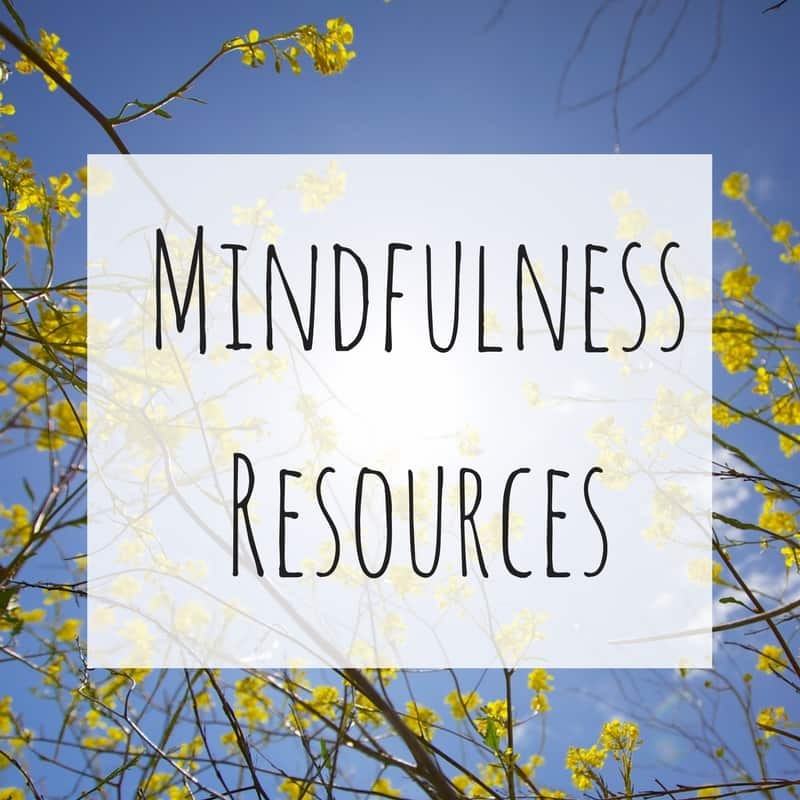 This 12-week mindfulness skills program will support clients in learning the practical, accessible mindfulness skills offered through the Personal Leadership framework and provide coaching support as the participants implement these skills into their daily lives. It has been so fun to engage in these conversations! Each of the participants is coming to the program from their own unique desire to live more engaged and more connected with the world around them. I have loved sharing with them the details of how we’re going to be talking about real world skills, actual day-to-day practices and ideas that they’ll be able to implement not just in times of balance, but in times of upheaval. Please stay-tuned for updates (by liking the World Tree Coaching Facebook page or by joining my email mailing list if you haven’t already). I’m hoping to have completed the beta phase and to begin accepting clients for the program in late-April 2018. I’m also happy to announce that I’m now booking individual coaching clients for 2018. After some time off for the holidays (and to get my beta-testers moving through their program), I’ll begin seeing new individual coaching clients in mid-January. If you’ve thought about coaching before, but aren’t sure it’s the right fit for you, please click here and schedule a time for us to talk more. This no-obligation session is a great way to see how coaching could support you in reaching your goals, managing transition, gaining clarity and maintaining (or regaining) balance as you enter a new year. Coaching is a true gift to yourself. There’s nothing quite like it! As a special offer, all new clients who register between now and December 18, 2017, will receive a free copy of my book The Expat Activity Book: 20 Personal Development Exercises for Gaining Insight and Maximizing Your Potential Wherever You Are (a $20 value) along with a voucher for $25 off the coaching program of her or his choice. Click here to learn more about how we can work together to make 2018 the year you get moving where you want to go! Happy Fourth Birthday World Tree Coaching! I was looking back at some past World Tree Coaching birthday posts and it turns out I write pretty much the same things every year! Seriously. Year one. Year two. Year three. 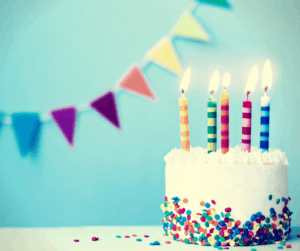 It’s clearly a birthday blogging tradition and all of it’s still true, so why change now? This year I’m doing super fun new things (read about some of them here and here and here). Gush, gush, gush, gush, gush – this job makes me so happy and I’m gonna’ do it forever! Work With Me! Working with a life coach is awesome! Don’t take my word for it though – check out what my clients are saying. 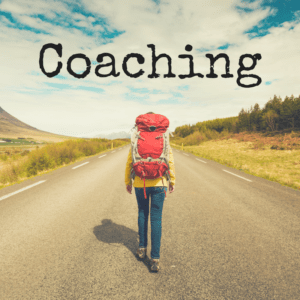 Or read this recent post from another coach friend and learn a bit more about why working with a coach is absolutely something you should do. I’ve got a couple of clients wrapping up and that leaves 4 individual coaching spots open between now and the New Year. Wait! World Tree Coaching is turning 4 and I’ve got 4 spots open!? What are the chances!? Seriously – what are you waiting for? 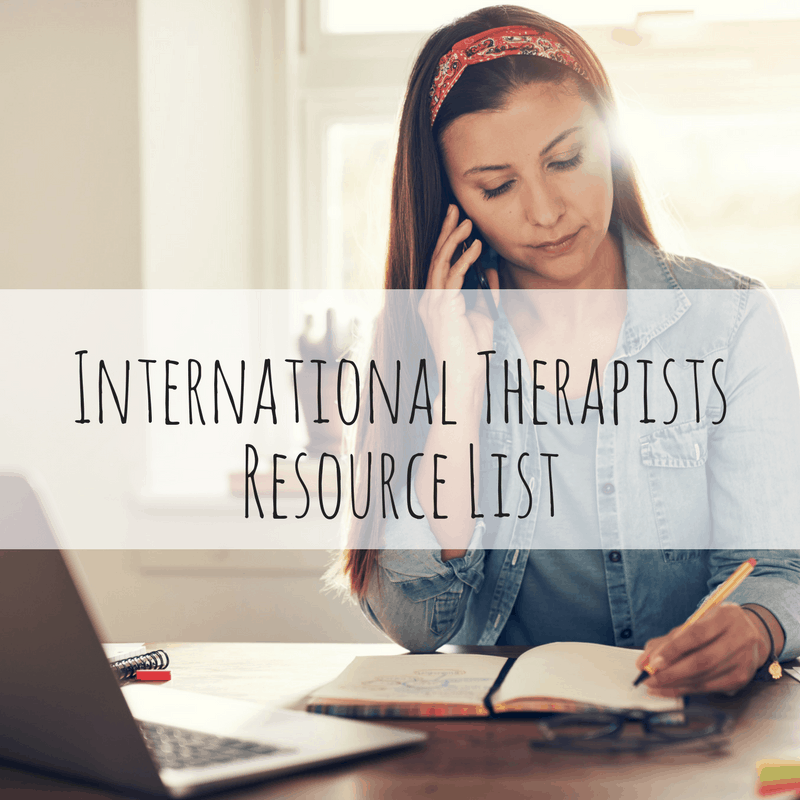 As a coach and expat support professional, I help people find home. I whole-heartedly believe that the answer to what home means to each of us is already with us. With age and time and conditioning, we lose our ability to get up close and personal with what we think and feel and that affects our ability to see clearly what home really means. We shy away from the messy parts, we hide the ups and downs and we downplay the things we’re totally rocking. My theory is – it’s all material! I help people learn to be okay with what’s working well. And, I support people as they honestly and gently, refocus towards their inner sense of home when they find what they’re currently doing has stopped serving them well. How do I do all of that? I bring optimism and compassion into the space in which we are working together. I believe in my clients – they are whole, capable, experienced and brilliant. Through a lens of love and curiosity, I invite them to step into the space where they can use those traits to get where they want to be. That pretty much sums it up. Join me and help me celebrate yet another year of supporting people in finding home no matter where they are. Read more about my one-on-one coaching programs here. Click here to schedule a FREE, no obligation consult session to see what this coaching thing is all about. Let’s face it – you love your kids, but you might…just might…be happy they’re all back at school. Right now it’s possible you look like the lady in that photo…right? If there’s one thing I hear from friends, clients and colleagues alike right now it’s that a return to the school year means a return to regular schedules, normal bedtimes and a better sense that you can come out from under everyone else’s stuff. It’s heavy under there! And that means it’s the perfect time for you to turn the focus back in your direction for a bit. I want you to do that! I love more than anything supporting people in reaching their goals, finding their sense of self and moving forward one step at a time in connecting with what matters most in their lives. Join me in celebrating this newest transition by taking advantage of my latest coaching program offer. From now until the end of September 2017, take 20% off your coaching program fees. Click here to see if you’re eligible for additional discounts. Installment plans are available for my 8- and 12-week programs. 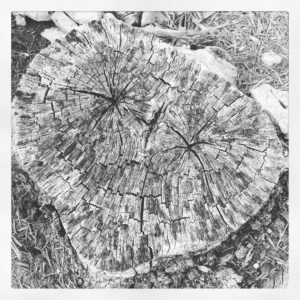 If you’re ready to get started – simply email me at jodi at worldtreecoaching dot com. Have you been thinking about coaching, but you’re still not sure if it’s right for you? Never considered coaching, but now you’re kinda’ curious? Read what past clients have said here. Or click here to schedule a time to chat with a FREE, 45-minute consult session! Every one of us is made up of layers and layers of experience. Our personalities, our likes and dislikes, our success and failures and our dreams and nightmares are all part of who we are. For those of us who live a globally mobile lifestyle, those layers are further complicated by the fact that we can be one person in one place and an entirely different person in another. Or, at least, it can often feel that way. I hear this so often from my coaching clients. 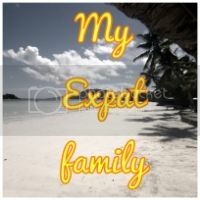 One of the most common expat feelings is the sense that some of our most cherished personal qualities get buried under the stress and anxiety of moving from place to place. Alternatively, some of the parts of ourselves that we most desire to change, end up sticking around because let’s face it – doing our personal work is hard even if we stay in one place. But with practice and dedication, we can learn to reveal more of our layers. As we do this, we begin to live more as our complete selves which, in turn, can help us feel more secure, confident and fulfilled – even if we’re moving around a lot! They take time to find out what those layers are. Make a list of the keys areas of your life. I like to include these 7 areas: emotional, spiritual, professional, social, intellectual, practical/physical environment and health. For each of these areas, write down some of your most important needs, priorities or values. They practice saying, “I am…”. I am a writer, I am an artist, I am a poet, I am a runner, etc. Do you have a passion or skill that you feel shy about sharing? That’s normal, but with practice comes acceptance – from yourself and from those around you. They tell people what they’re working on. Whether it’s something you’re proud of or something you’re hoping to change – don’t keep it a secret! Getting trusted companions involved in our growth helps us feel accountable to the changes we’re hoping to make and it reveals layers that may not always be evident to the outside world. They share stories. Story telling is a great way to learn more about the complex layers of our lives and it also helps others (especially when we’re making new friends in a new place) see how dynamic we really are. They commit to being a good friend. One of the best ways that we learn about ourselves is to invest in relationships. Taking time to honor the people around us enables us to bring forth our best selves. Read here for some of my favorite skills of socially adaptable expats. They ask a lot of questions…and then they ask again. All the time – to themselves and to others. They get really, really curious. They know that the things they love are not frivolous or silly. 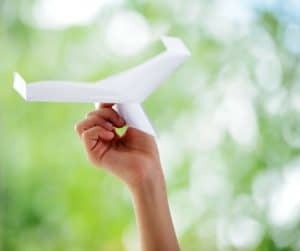 If you have a unique interest of hobby, recognize that this interest is a key part of making you feel like yourself and then find people with whom you can share this interest. They stop shrugging. This is so common! I do it all the time! When we have something special to share, when we receive a compliment, when we have the opportunity to open up – we often do it with a shrug of the shoulders. In an effort not to standout, we hide behind the shrug. 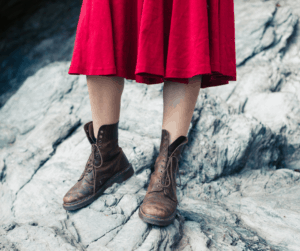 Instead – square your shoulders and go for it! Own up to all the layers of yourself! They never stop growing! Give yourself space to revisit things that are working well for you and areas in which you feel stuck. Get help when you need it. Remember – you’re always a work in progress – layer after layer, year after year. Living a globally mobile lifestyle doesn’t have to be an excuse for staying in one place on the inside. Your layers are amazing – let them show! Last night my husband and I drifted off to sleep talking about where we might live next. We have two more years here before we move and since our oldest will be in high school by then it feels like there’s a lot more to figure out. But, in all honesty, this has been pretty much how we fall asleep every night since we’ve known each other. Having lived overseas off and on for the past 20 years (has it been that long!?) hasn’t done anything to alleviate the slow list of countries, their advantages and disadvantages easing from my sleep-drunk mouth as I settle into my pillow. I thought we were done with the conversation, but clearly my brain wasn’t. We were driving, driving, driving – all packed in the car. Me, my husband, our 3 kids and (interestingly) my mom. It was a beach town. Hilly and beautiful, but full of people and obstacles in the road. I was trying to find a parking space. “Get that one!” my Mom says. Then more driving. The roads are getting trickier and curvier. There are steeper cliffs and tighter turns. There are more impossible parking spots. The view is nice though. Finally, we come to the perfect spot, but the entry into the spot is super steep and at a jack-knife turn. I look over to see a family (coincidentally the family of another expat friend I’d just been talking to last night) standing in the parking space. I get out. We all get out. Then I realize I haven’t put on the parking break. The car begins to roll. I’m too late to stop it! It goes sailing, down the hill and over the cliff crashing into an antique store at the bottom of the hill. “Crap!” I think. I check to make sure we’re all okay. And then we just stand there watching. We weren’t even all that afraid. No one freaked out. One guy stopped and took a photo. Last year, in the space of 9 months, we lost my step-dad and both of my maternal grandparents. They were all people who’s influence in my life cannot be overstated. You know those people who say or do something and you go back to it forever? The people whose words you access when you’re struggling with a decision? The individuals whose embrace, quiet reflection or gentle laugh brings you home even when you don’t know where you are? Even some of their tiny, little throw-away sentences, things they probably would not even remember having said, now have permanent real estate in my brain. “I can’t really get on board with hell because I know some really nice Hindus,” or “I wouldn’t worry about it. You were dating. That’s what dating’s for.” I’ve filed them all away for reference. Small things may even have become the guiding force of my views on big things like love and spirituality. I hold on to the fact that if I close my eyes I can still hear their voices. In that sense, they’re not really lost. Of course this means no hugs. But they’re not gone. Mostly I just refuse to believe that they are. I can still know them. Because of the millions of words exchanged between us over most of four decades I can still hear their responses to specific situations. It’s like my own secret panel of advisors. This is kind of true for all my friends in far off places too. No, it’s not the same, but it’s not completely different either. There are moments when I know a dear friend is sleeping in her corner of the globe. I won’t wake her, but I know what she’d say and what she’d do if she were here. She (the many, many she’s all over) has her own stock of advice that I need to take and embraces that I need to accept. She’s another member of this invisible panel of advisors collected in my deepest thoughts. And come to think of it – this isn’t just about the people either. All the little rincones of the globe hold their reflections that guide me too. I bet it’s the same for you. When you walk outside in Japan, sometimes you think, “This day feels like Madagascar.” Each place we’ve been has a reflection, a memory, some words of wisdom locked away to guide us. We move to all these places and we meet all these people, but they don’t leave us. We close our eyes and we can tread the same path from the fruit stand back to the office without even thinking. We hear the same car sounds and smell the same mix of exhaust and sea and in those moments all the things we learned come rushing back. The one thing she said that day, in the car, in the summer of 1984 that changed your whole perspective of the world. A clink of a glass, the scent of a loved one’s perfume, the feel of someone’s hand in your own – each little memory deepens the map in your mind that leads you back to wisdom. So it’s not all lost, just a little bit different. Just because you go from place to place doesn’t make you lost either, maybe just a little bit different. There’s a lot of wisdom stored in those mental maps you’ve collected. Go ahead. Close your eyes and find it. Happy, happy New Year my dear friends! I can’t quite figure out if I should spend some time here writing about the insanity of 2016 or if I should just ignore it and get on with the show. I mean, in all honestly, what does that horribly bizarre and traumatic year have to do with my work here? Let’s be honest – probably a lot. Because if there’s anything we can learn from the strangeness of 2016 it’s that we don’t get a time out, we don’t get a do-over, and at the end of it all, we’ve got only one chance to live (hell, even Princess Leia didn’t get a free pass!). What we do get is the opportunity to live each day from the heart and to spend time in reflection so that we can see the chances we’ve missed and then do a bit better the next time. These are messages we can take to heart as we move into 2017. I love New Years! While I’ll take the party and the champagne and the late night, it’s the next morning that really makes me swoon! When I see in front of me the clean slate of the New Year I cannot wait to get movin’. Brand new. Tabula rasa. Not even a tiny scratch. It inspires me. It makes me giddy with the notion that, even though we can’t do the previous year over, we can put one foot forward to making this year better primed for learning and growth. I’m not really much of a resolutions person, but I am very much a reflections and intentions person. In the transition from one year to the next, I like asking myself lots of questions. In fact, you can see some of my past New Year questions here, here and here. This year I’m asking a lot more questions about how I can make a difference, spread love, fight for social justice and make a difference where it matters most (no matter where I happen to be living). I’m asking myself more questions about how to better demonstrate love and acceptance. I’m reflecting more on how to live fully, how to learn more and how to create more time for fun and spiritual reflection. I’m asking myself how best to continue to integrate my personal and professional life so that they’re not balanced ends of the scale, but dance partners adjusting to an unpredictable stage. I feel super curious right now about each and every moment. This is another fallout from 2016, I think – when everything seems unpredictable, all you really can do is pay some serious attention. While the questions are always evolving, my answers are guided by the 3 words that make up my personal mantra: Peace. Love. Family. So far it feels really right. I have high hopes for 2017. I think you should too! So again – Happy, Happy New Year to you! Thank you to those of you who’ve worked with me this year and to those who have supported World Tree Coaching! If you’re thinking of taking the coaching plunge – be sure to checkout my coaching programs here and my new discounted rates and sponsorship spots here. 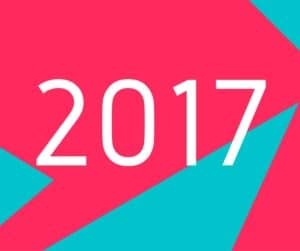 I look forward to hearing from you in 2017! Back to Work and Out from Under These Boxes! Today, with the clouds overhead and the slow drizzle that is another typhoon-season rainy day in Tokyo – I begin to crawl out from under the pile of boxes that has been my life since mid-June. I’m thanking my lucky stars! Whew! This transition summer has been the most challenging I think I’ve ever faced. This was the first summer I found myself with no childcare, no long vacation away (although we did enjoy 4 nice days at the beach), and no real down time. We went from our home, to 6 weeks in a temporary apartment to now our final destination. I’m worn out….but I am so excited to be here! And – I am ecstatic to get back into the swing of work. I cut back on just about every aspect of work-life over the summer and I miss it! I miss sitting down to write, I miss my workshops and I miss my group and individual clients terribly! I’ve also learned so much. For one – the idea that I could do all of this without childcare was…wrong! That’s a big lesson. Even as my kids get older I find that with lunches and snacks (which is a whole, crazy experience for us beyond the norm – read about that here), and negotiating screen time, and all of their little projects, and all the lovin’ it takes to support these sweethearts who have moved more times than your average adult – WOW! – it’s a lot. I’ve also learned (again) that work is not optional for me. When I’m not engaging my creative side, when I’m not changing my pace and creating space for people to find their voices through the coaching process and when I’m not writing – I just don’t feel like me. My professional life is not a side-gig. When I set it to the side, I feel the profound and nagging sense of having misplaced my keys or forgotten to turn off the stove. And, on top of it all, I’ve been reminded of how much learning just goes on and on and on. Sometimes we have an opportunity to gain new knowledge about the way we work, live and love. And at other times, we’re simply being reminded of lessons we’ve learned in the past. 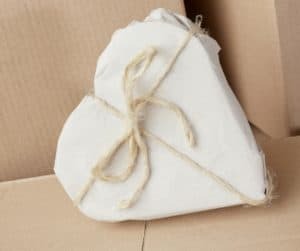 That, in my mind, is the most rewarding way to live – never thinking it’s all wrapped up, but rather a series of tiny wrappings and unwrappings every day. And let me tell you – wrapped or unwrapped – I am happy to be out from under all these boxes! So – let’s get this back-to-work party started! Join me for one of my upcoming workshops, groups or individual coaching opportunities! Click HERE for details. I recently came across a letter I wrote to myself in January 2000. It’s sealed. I haven’t opened it and I’m not sure when I will. The idea of writing letters to myself has long had this sort of mysterious appeal to me. I think it lies in the idea that there’s a gift in finding a way to be your own personal cheerleader months or even years later. This summer we will move for the 8th time in 7 years. This move will just be from Yokohama to Tokyo, but the difference of 15 miles will bring a lot of changes – new neighborhood, new friends, new schools for the kids, a new job for my husband, new grocery stores and post offices, restaurants and doctors’ offices. A lot will stay the same, but many more things will be different. It makes me wonder if perhaps I should be writing a letter to myself each time I move. It might be something new to add to the things we already do. I think it might be nice to have a letter I write before I move that I could then open up and read before the next move. I love the idea of rituals around moving and traditions that individuals and families create to ease the transitions. There are so many wonderful, insight-building and compassionate ways to ritualize a move and to make transitions smoother. I’ve come across so many of these activities over the years. I’m seriously considering adding the letter to myself to the list. 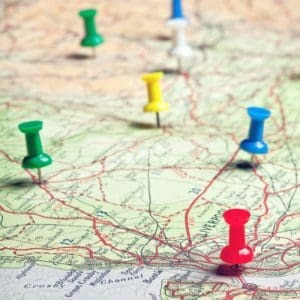 Are you facing an international move? Is this your first or one of many? Have you ever used a ritual or tradition to make your move feel more easeful? 1. (New one!) Write a letter to yourself. Include your thoughts and feelings, your expectations and worries. Seal it. Hold onto it and read it just before your next move. 2. Create a space box. This is a personal one that my husband and I started when we were first dating back in 1998. We still use it to this day and I’ve included it in my book. Read the details here. 3. Inspire conversation. This one came from a recent discussion on a Facebook group I belong to. Place large pieces of paper on the walls around your dining room (or some place else that your family regularly gathers together). Write the following headings one per paper on each of the papers – Things we will miss. Things we won’t miss. Things that will stay the same. Things we are looking forward to. Each night at dinner, invite family members to talk about the different categories and add things to the various lists. 4. Say “thank you.” Purchase (or make) small, simple thank you gifts for the people who’ve made your home away from home feel like home. I especially like this for “community helpers” – the people who you don’t know well, but who always lend a hand, a smile or infinite patience when you’re out and about and trying your best to make a go of your life overseas. 6. Create a soundtrack of your time in your adopted home. Like many people, our family is very much inspired by the music that makes up a particular time and place in which we’ve lived. We love hearing songs that remind us of the different phases of our life. This activity is especially fun if you live somewhere with music that’s quite different than what you’re used to in your home country. These are just a few of the many options for ritualizing transition. You might also try Googling to find some other ideas or ask your other expat friends. Also, be sure to check out my book – The Expat Activity Book. All 20 exercises are relevant to almost every phase of transition. I’d love to hear your ideas and share them with other blog readers. Leave me a comment below with some of your favorite transition traditions.